Homemade vegan sushi is easier than it looks. This video recipe shows you how to prepare inside out of maki style sushi. This means that the rice is on the outside of the roll instead of roll. Vegan sushi is extremely versatile because you can use any assortment of vegetables that you have on hand. You can also add tofu or tempeh to bump up the protein. Do you make sushi at home? 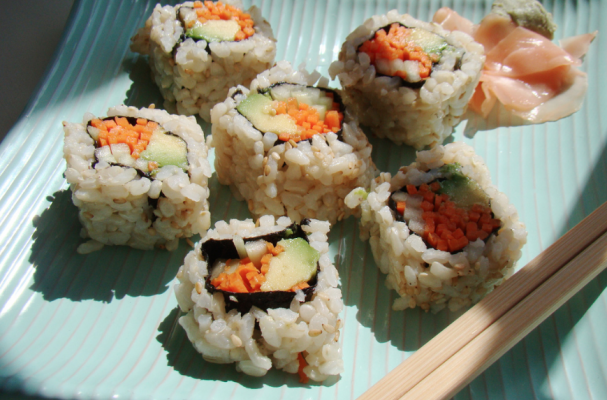 Share your favorite sushi recipes with Foodista, we want to know about what you are cooking!